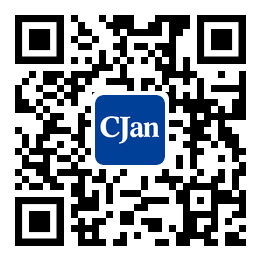 ﻿ The Product Structure Classification of Rubber hose (II) - CJan Fluid Technology Co., Ltd.
(3) According to the wire selection, the winding rubber pipe can be divided into fiber wrapped rubber hose and wire wound rubber hose. It also has the fiber curtain cloth or wire curtain cloth as the frame layer wound rubber hose. ① The filament wound rubber tube is wound by fiber thread (cotton thread or other synthetic fiber yarn and chemical fiber thread). According to the different conditions of use, work pressure and performance requirements, it can be made into a variety of specifications, types and applications of fiber wrapped hose. ② The wire wound rubber hose is made of wire (or wire rope). According to the different conditions of use, work pressure and performance requirements, it can be made into wire wrap hose with various specifications, types and applications. (4) Knitted hose. It is used as a framework layer material with cotton thread or other fiber, and it is called a knitted rubber tube. According to the different conditions of use, work pressure and performance requirements, it can be made into knitted rubber with various specifications, types and applications. (5) Other rubber hose. In addition to the above types of rubber tubing, there are other kinds of rubber tubing. Such as pure rubber tube, compound rubber pipe, drainage (suction) mud hose, heavy suction oil hose, drilling hose, short fiber hose and synthetic resin hose, etc.